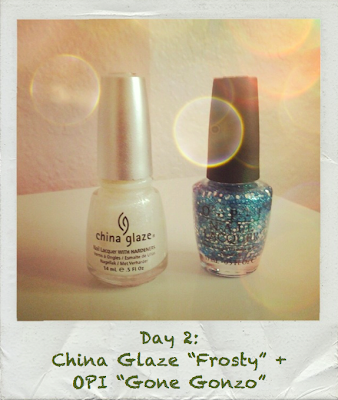 What I Blog About When I Blog About Books: 2nd Day of Christmas: China Glaze "Frosty" + OPI "Gone Gonzo"
2nd Day of Christmas: China Glaze "Frosty" + OPI "Gone Gonzo"
I have for you today the 2nd of the 25 Days of Christmas Manicures. This combination is of China Glaze's "Frosty" and OPI's "Gone Gonzo." 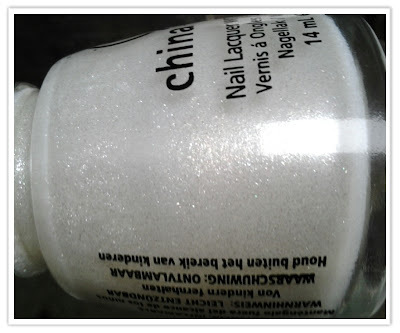 China Glaze's "Frosty" is going to be a reoccurring base color used in a lot of these manicures. While I do love to wear it on it's own, it just adds this extra sparkle when I layer glitters on top. If you want an opaque finish of this polish, 3 coats is required, but I usually don't mind a little visible nail line and go for 2. OPI's "Gone Gonzo" is one I didn't initially care for much when the Muppets Collections came out last year, and when I saw how sheer it was, I was happy I didn't pick it up. But when Ulta decided to repromote this collection, I was tempted by the gorgeous glitter and snatched it up anyway, telling myself I could numerous combinations with such a sheer glitter. And I was right. 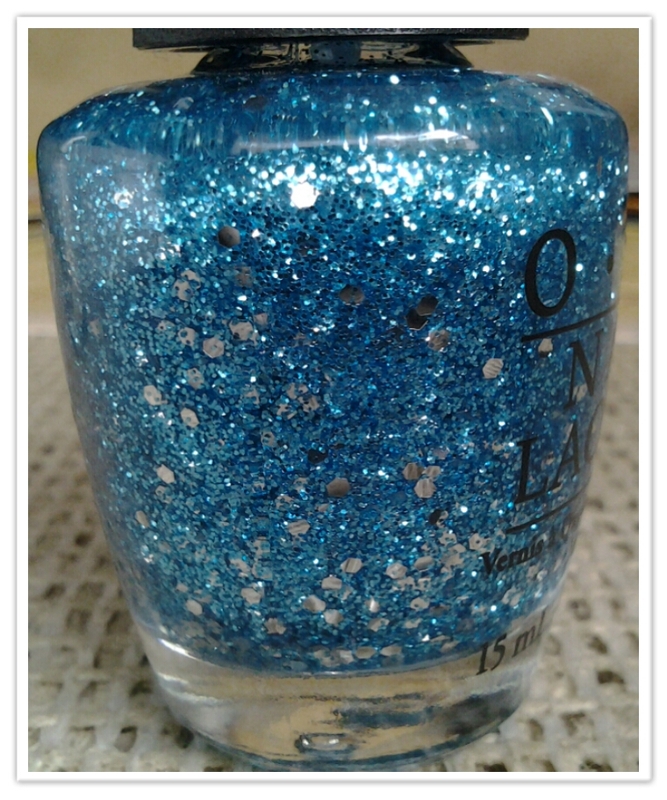 (: The sheer quality of "Gone Gonzo" works amazingly well for this manicure. One coat creates a beautiful finish. The combination has this frosty, winter-y feel to it. This is one of those manicures that's great for those days that you're tired of reds, greens, and golds. It also incorporates blues without being blue-overload if you're not into that. I haven't tried this manicure with two coats of OPI "Gone Gonzo," but if you love blue then I would definitely experiment a little. I really enjoy this manicure. It exudes winter. I was most curious about Frosty! I like how it looks.